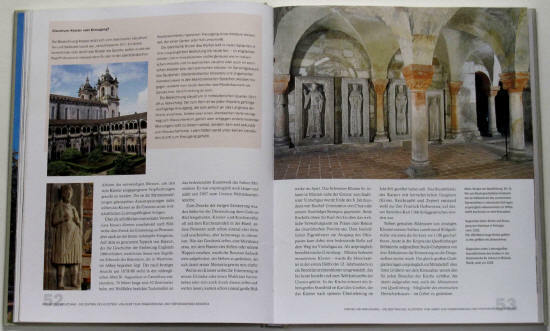 This lavishly illustrated volume depicts monasteries over the course of the centuries, the spirit in which they were built and the people who lived in them and those who live there today. A monastery proves to be an inspiring cosmos in miniature – with nature and order, everyday life and celebrations, culture and education, coexistence and leadership, healing skills and hospitality, prayer and work, renewal and conservation, serenity and life in proportion. Born 1965, studied history, history of art and German philology in Heidelberg. She is in charge of the archives and the library of the Carpathian German Kulturwerk Slowakei e.V. in Karlsruhe. Her research work focuses on medieval art and cultural history as well as ecclesiastical history. Born 1964, studied history and German in Tübingen. He is deputy editor-in-chief of the history magazine DAMALS. His numerous publications deal with biographical and historical topics. He is the editor of several illustrated volumes on cultural history. Born 1931, studied philosophy and theology in Munich. A Benedictine monk since 1952. 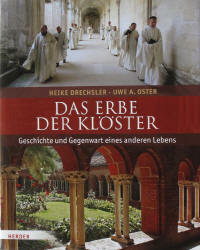 In 1964, he became the Abbot of the St. Bonifaz monastery in Munich and its associated monastery in Andechs. Odilo Lechner is still much in demand as a theological speaker and is a popular author, who numbers the “Bayerische Poetentaler” among his awards. He was awarded an honorary doctor title by the University of Munich for the impulses he gave to a theology of spirituality.